Pocahontas and Tarzan. 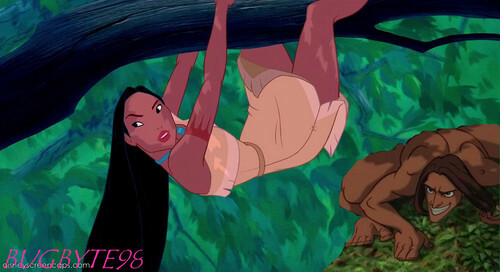 Pocahontas and Tarzan in the trees. HD Wallpaper and background images in the disney crossover club tagged: crossover disney pocahontas tarzan. I like it. They make a really good couple.